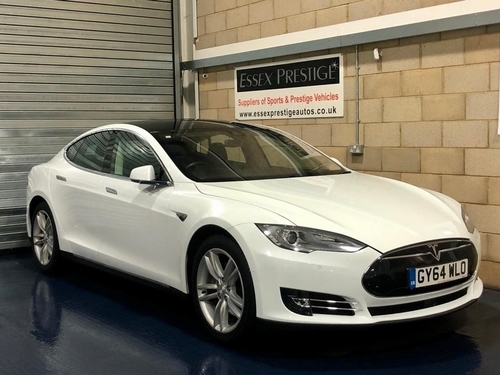 This used Tesla from Mayfair Prestige contains a 0 cccc Electric engine with Automatic transmission and has clocked up 8900 miles. 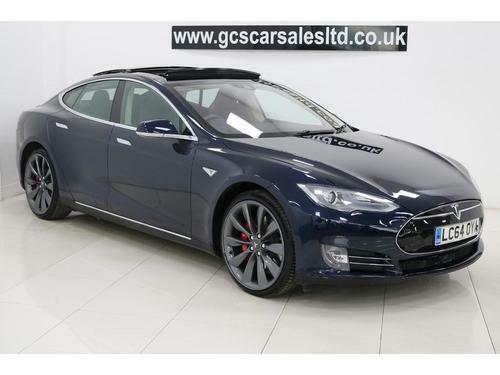 Priced so low and with only a mere 8900 miles on the clock this Tesla isn't likely to be on offer for long. This MODEL S has only done 19000 miles and it's been driven for under a full year. Get in touch with us today to make an appointment for a test drive. 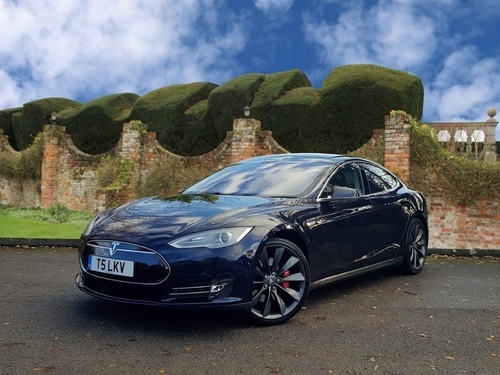 Go for a test drive in this dependable Tesla MODEL S that is listed as one of Britain's top 20 most reliable cars. This second hand model from us at Prestige Cars Kent - Bromley comes in Grey and has clocked up 25100 miles. With such a marvellous price on this used car, it isn't likely to be up for sale for long. Get it for just £59,995 or you can spread the cost and pay in monthly instalments. Call or email one of the expert advisers to discover what finance options this car dealership has on offer. 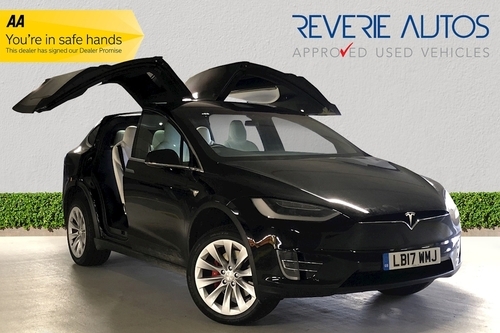 With few miles clocked up on the dash, this Black MODEL X in like new condition is available to buy for £109,000 or on finance commencing at £2514.66 monthly. If you’re thinking about test driving this second hand car or simply want to learn more then just call or send an email to this dealership in Hatfield. On offer - [body] second hand car in like new condition fitted with a Automatic gearbox and 0.0 L [fuel] engine. This particular vehicle also comes with a full, documented history of any prior servicing. 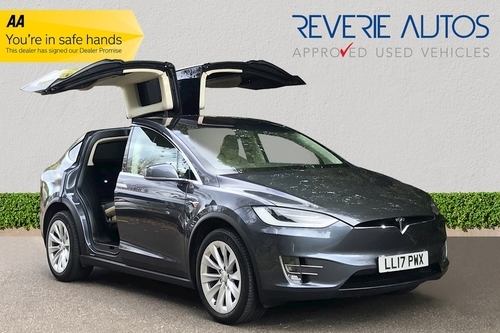 Discover what this Tesla MODEL X 90D feels like when you're behind the wheel, just get in contact or pop in and see the experienced sales team at Reverie Autos. 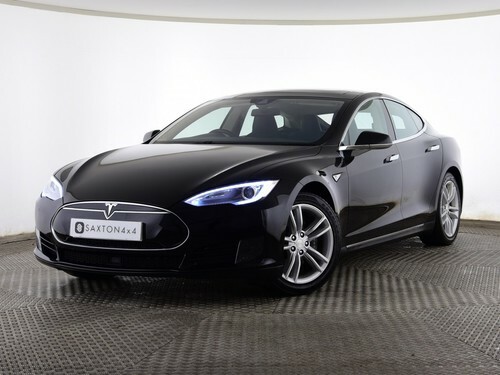 This particular second hand Tesla MODEL S 85 DUAL MOTOR in the shade of Obsidian Black is currently available for sale with the added option for you to get it on finance. 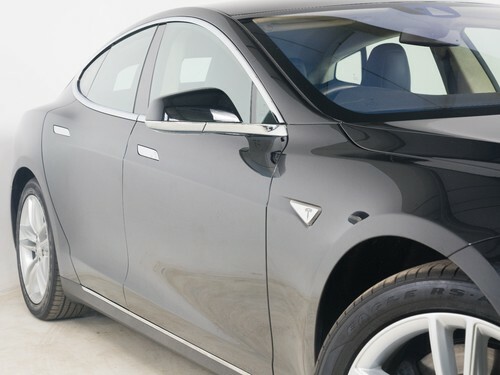 For the total cost of only £49,995 or on finance commencing from just £1153.40 every month, you could be the one behind the wheel of this Tesla. Get in touch with Romans of St Albans in St. Albans as soon as you can. 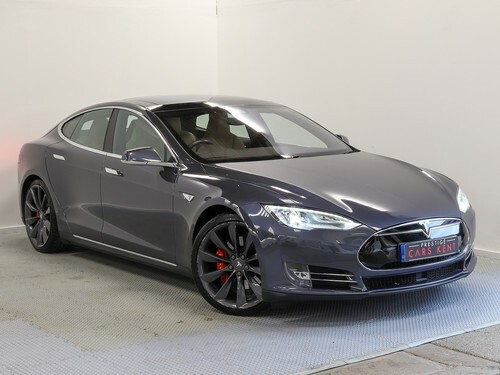 Currently available for sale is this Tesla MODEL S 75 AWD in like new condition with a low mileage of just 15500 miles. Priced at just £51,995, it isn't likely to be up for for sale for much longer. 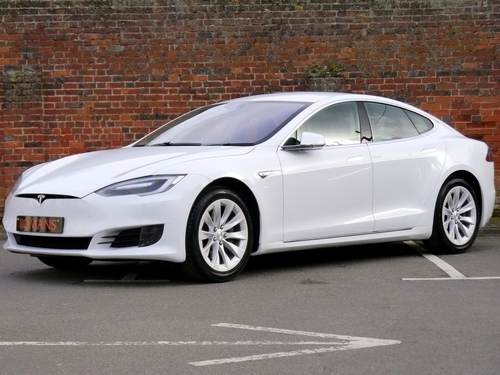 With a MODEL S like this for sale at the brilliant price of £44,000 and with manageable credit options available to suit your needs; buying this vehicle might be easier than you may think. Head over to Runnymede Motor Company right now to see this second hand car in person. This used car is being advertised by this dealership at an awesome price. With credit options at hand with flexibility to assist you in buying this MODEL S, you could be driving this car sooner than you know it. 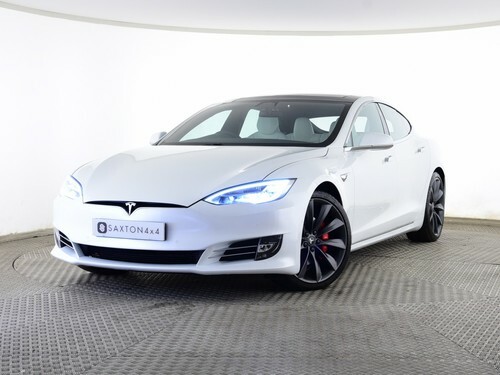 This Tesla MODEL S is ready to drive away at the great price of just £39,989 or you can also opt to buy on credit with achievable payments starting out at £922.56 monthly. 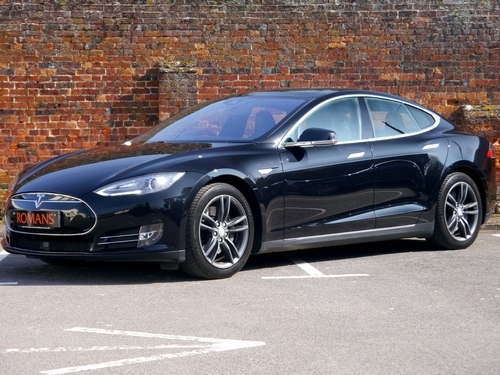 Tesla MODEL S 70kWh 5dr Auto that's got a Electric, litre engine and Automatic gearbox. It is in a splendid, nearly new condition in the interior and exterior and is up for sale in a finish with 12000 miles on the dashboard. 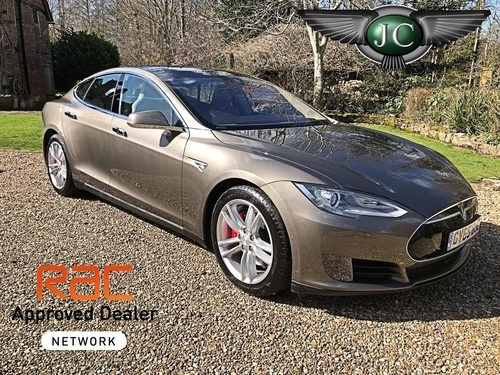 This Tesla comes included with a substantial quantity of essential features and specifications, which include the following: Email or call Kent Motor Cars LLP to find out more or head on down to the dealership to view this Tesla MODEL S 70kWh 5dr Auto in Maidstone. 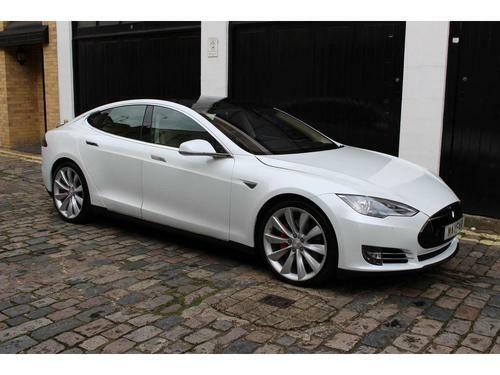 Speeds is advertising a bargain price of just £44,950 for this Tesla MODEL S with low mileage. This dealership is in the High Wycombe area. Simply contact them to arrange a viewing and experience what this MODEL S E 85 feels like out on the road. Painted in Bronze, this MODEL S comes with Automatic transmission and a 0 cc CC Electric engine with just 24000 miles clocked up on the dash. Now on offer at the fabulous price of only £56,550 or you can also choose to buy on finance together with convenient instalments. It's a great deal for this car and so it might not stick around for much longer. This used car up for sale from Saxton 4x4 priced at £48,000 has clocked up 57000 miles and comes in Blue. Get this motor in Chelmsford from this dealership using a loan. Repayments start out at only £1107.37 each month. This particular second hand Tesla MODEL S 0.0 70 279 KW in the tone of Black is on offer and ready for its next owner to drive home with the option for you to get it on credit. If you would prefer to spread the cost, you could ask Saxton 4x4 about their finance plans. They start at around £922.81 a month. 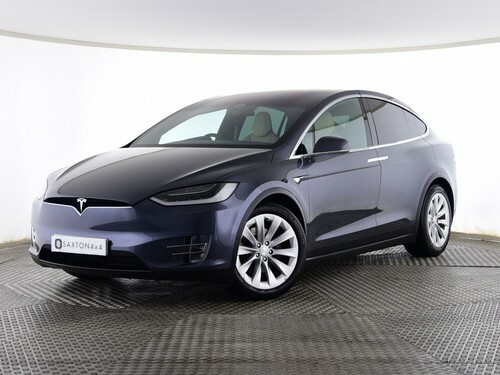 Available for sale is this Tesla MODEL X 0.0 60D that is fitted out with Automatic transmission and a CC Electric engine. On offer at the amazing price of only £64,000 and manageable payments on hand beginning from as little as £1476.50 monthly. This second hand car is being advertised for sale now. Act fast and contact one of the knowledgeable advisers at Saxton 4x4 to find out what finance plans are at hand. Your affordable monthly payments could start off at only £1476.50 per month. 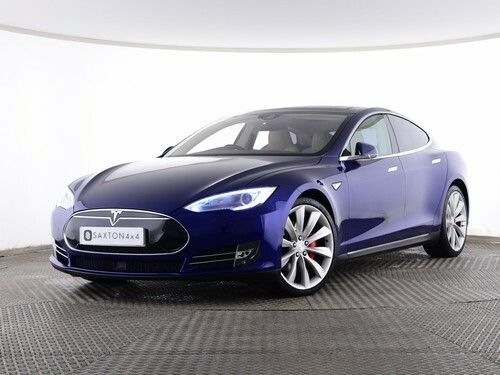 Tesla MODEL S which contains a Ltr Electric engine with Automatic transmission. Up for sale and ready for you to drive away in the shade of White. If you'd like to know more about purchasing this motor, just contact one of this dealership's knowledgeable advisers. 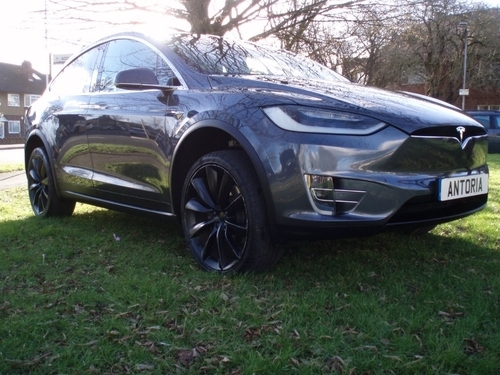 This dealership in Chelmsford is advertising a bargain price of £82,000 for this low mileage Tesla MODEL X. With such a low price, this Tesla MODEL X 0.0 P100DL in an almost pristine, nearly new condition is likely to sell fast. Showing 1-18 of 68 items.